Today we enjoyed a wild summer salad made from natures finest. Wild freshly harvested amaranth leaves packed with nutrition topped with mini bell peppers, red onion, garlic, nopales, cucumber, a handful of mixed nuts, rice cake crumbles for extra crunch, an apple on the side with TUNA! HA! Don't worry not the fish - it's another name for the prickly pear, the fruit of the nopales cactus! Amaranth was a staple of pre-Colombian Aztecs and is still enjoyed in many cuisines. In Mexico and India the seeds are popped and mixed with sugar or chocolate to make a tasty treat. The Peruvians make beer from the grain. Amaranth has been used by herbalists to to treat toothaches, inflammation of the gums, fevers, as a wash for external wounds and internally as a treatment for diarrhea and dysentery. "Amaranth seed is high in protein, some 16%, contains lysine and methionine, two essential amino acids that are not often found in grain, and is high in fiber, three times that of wheat. It also has calcium, iron, potassium, phosphorus, vitamins A, C and E."
Amaranth leaves are nutritionally similar to beets, Swiss chard and spinach, but are nutritionally superior! For example amaranth leaves contain three times more niacin (vitamin B3) than spinach leaves and 2 x's more Zinc than Kale. The plants are easy to grow and supply a grain packed with protein that can be made into cereal and flour. We discovered Amaranth in 2011 and have been enjoying it as much as possible since. We planted some in AR and CA with success! This year we tossed a few seeds out and were happy to find big plants among other WILD amaranth plants! Salads and green smoothies are covered this season. My husband picked a bowl for us yesterday, I picked one today! With temperatures blazing I couldn't think of turning the stove on so today we enjoyed a Summer Harvest Salad for lunch! Fresh squeezed limes brought the meal to the next level! Wash and prepare the vegetables and place in two bowls. Start with the dark leafy greens, add the chopped bell peppers, onion, garlic, nopales, cucumber and top with nuts, rice cake crumbles. Place green apple slices and optional Cactus Pear slices on the side. Squeeze with fresh lime. Add your favorite dressing (s) and enjoy!!! I hope you enjoy this Summer Harvest Salad! Today marks the last day of August. What a great month of summer sunshine fun! Beginning September 1 is not only my sisters birthday but it marks the start of VeganMofo! I had no idea what VeganMofo was and just so happened to stumble upon it with only a couple hours left to sign up. It was described as a worldwide blogging extravaganza - The Vegan Month of Food! 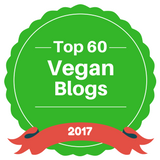 For one month bloggers are challenged to present a minimum of 20 blog posts that are 100% vegan. Warning, I am about to flood your inbox with delicious tantalizing recipes that are healthy! My theme? Vegan Alchemy!!! Gerald and I just recently started making colloidal silver so the theme seems fitting. I'll talk with you tomorrow for an exclusive birthday treat! We brought Asian Fusion Cuisine into our home with Sesame Soy Marinated Tofu accompanied with Crisp Peppered Asparagus and White Rice. The meal is so savory! We both ate every last bite. The flavors bursting, the colors vibrant, the fragrance heavenly and the taste to be remembered. One of our favorite Asian Fusion Vegan restaurants in San Diego is called Sipz, Their meals are insane and the sauces are sooooo good! This meal tasted like we went to Sipz! The sauce makes this meal a home run! WOW your family, friends, lover and or yourself with a meal to be remembered. With basic ingredients and minimal effort you too can have Asian Fusion with out going out! The meal has less than $7 worth of ingredients in it making each serving less than $3.50! Preheat oven to 375 degrees F. Line a baking sheet with parchment paper and lightly spray with non-stick oil. Drain water from tofu, gently press water out and cut into 1/2 inch slices, cut slices into 1/2 inch cubes. Excluding the tofu, combine all of the ingredients in a bowl, stirring to mix well. Gently fold in the tofu, cover and marinate for 5-10 minutes. The longer it marinates, the more flavorful it will be! Wash asparagus, snap the ends off and place in a freezer Ziploc bag, adding the fresh squeezed lime juice and spices. Place next to the marinated tofu and bake alongside. *See step 4 above. Made with NO OIL - GLUTEN FREE - VEGAN - DAIRY FREE - HIGH IN PROTEIN - ALL PLANT BASED - DELICIOUS FOOD!!! I hope you enjoy this meal as much as we did! Cheers to a healthy happy YOU! This sauce is sweet, sour and spicy offering your taste buds a fusion of flavors. Use it on tofu, vegetables or as you prefer. We enjoyed in in a meal called Asian Fusion. Combine all of the ingredients in a bowl, stirring to mix well. Gently fold in tofu or vegetables, cover and marinate for 5-10 minutes. The longer it marinates, the more flavorful it will be!